Commit to 2017 being a year of exploration and discovery! 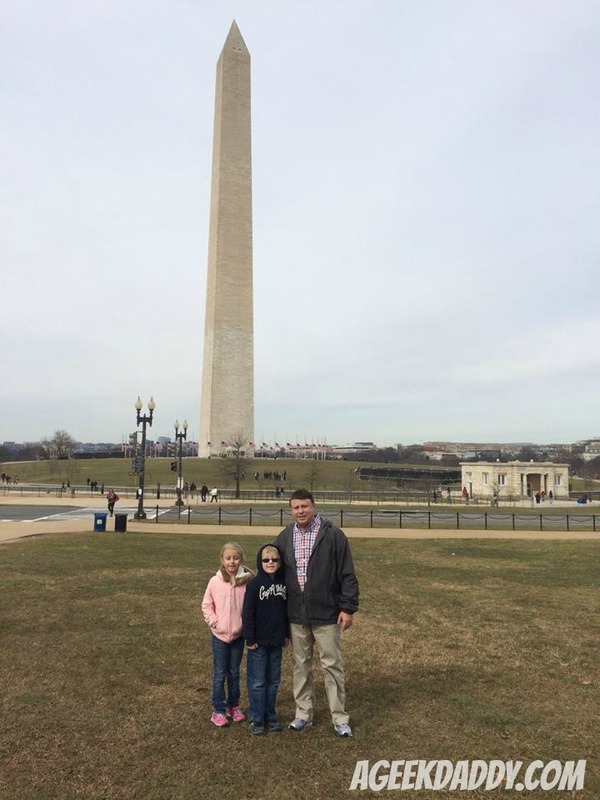 As a National Geographic Kids Insider, A Geek Daddy is looking forward to a year full of exploring new places and learning about new things with my kids. We're getting started with fulfilling this New Years resolution by reading National Geographic Kids' ALMANAC 2017 that is full of vibrant photographs, amusing jokes, fun games and interesting facts that make learning about the world around us both educational and entertaining. To share my family's enthusiasm for embarking on new journeys this year, I'm giving away a National Geographic Kids Book Bundle to help a lucky winner embrace daring to explore in 2017! The National Geographic Kids Book Bundle includes their 2017 almanac, the centennial edition of National Parks Guide U.S.A., weird but true! 8, and famous FAILS! For a chance at winning this great prize pack you must follow @Geekdad248 on Twitter and retweet our original contest tweet embedded below before January, 15 2017 @ 11:59 pm EST. Must be a US resident over 18 years old to participate. National Geographic Kids ALMANAC 2017 features more than 500 photographs plus updated maps and reference materials to help readers learn about a lot of amazing things. This year's edition includes "17 Cool Things for 2017" plus brand new animal stories, weird-but-true facts, and a section focusing on "things to do, places to see and ways to change the world." 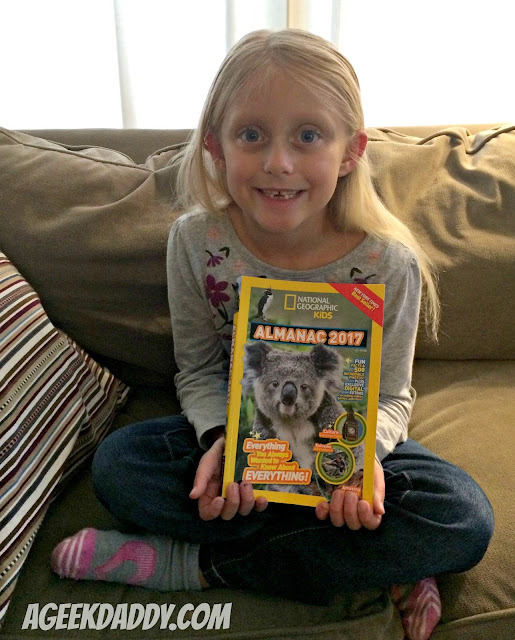 Written in a wacky, easy to read format that appeals to kids National Geographic Kids ALMANAC 2017 is a great resource to get children and teens to immerse themselves in learning throughout the year. Did you visit any properties managed by the National Park Service last year? Our family had the chance to visit the National Mall in Washington DC, River Raisin National Battlefield and Sleeping Bear Dunes in Michigan, and the Great Smoky Mountains in Tennessee. These visits were some of the highlights of our year and we're looking forward to hopefully exploring some new national parks in 2017. 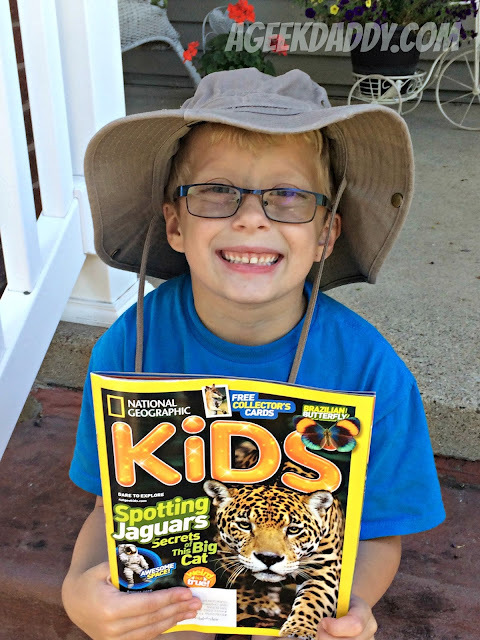 National Geographic Kids NATIONAL PARKS GUIDE USA is a perfect way to get children and teens excited about a family road trip to explore some of America's historic places and remaining wild spaces. The book provides an overview of the United State's national parks categorized by geographic locations across the continental U.S.: East, Midwest, Southwest, West. Read interesting information about animals and things you'll want to see on a visit and ranger tips on what to do and how to stay safe during an adventure to each of the featured parks. Learn where the best views are and some of the history behind these wonderful locations when you peruse through this book. Take advantage of the included maps and checklists of "must do" activities to make the most out of an excursion to a national park. Fear of failure or embarrassment too often dampens a child's eagerness to excel at something. famous FAILS showcases the failures that highly successful people have made to demonstrate to kids that not everyone is perfect. Did you know J.K. Rowling's original draft of her Harry Potter story was rejected by 12 publishers before getting picked up? Albert Einstein didn't do very well in grade school? The Leaning Tower of Pisa is a construction mishap? These stories and others show everyone makes mistakes and faces adversity teaching that fear of failure shouldn't be something to hold someone back from achieving his or her dreams and aspirations. The book also includes a nice tips section outlining how to face and deal with failure. Plus to show kids no one is perfect the book's editors left in 9 mistakes that were discovered while proof reading the book before it was published and challenge readers to find them. An answer key at the back of the book shows the readers the mistakes National Geographic authors made in the book to highlight everyone makes mistakes. Learn 300 outrageous facts compiled from National Geographic Kids Magazine in weird but true! 8. Automobiles are the most recycled product in the United States. Jousting is the official sport of the state of Maryland. Footballs are called pigskins because they were originally made from inflated pig bladders. Humans have explored less than 5% of Earth's oceans. weird but true! 8 is chock full of facts and filled with fun pictures and graphics that will wow young readers. and parents alike.